Today’s blog post is dedicated to leggings and how to make them work in the streets this year without feeling misplaced. Fashion is a crazy bi$ch, as you never know what to expect from it in the nearest future. Not so long time ago stylists, fashionistas, and bloggers were against leggings for wearing them in the streets, saying this garment is okay for wearing at the gym or home. Now, everything has changed. Why? We faced the athleisure trend, which implies sports clothing, sneakers, baseball caps, gym clothes, as well as leggings. 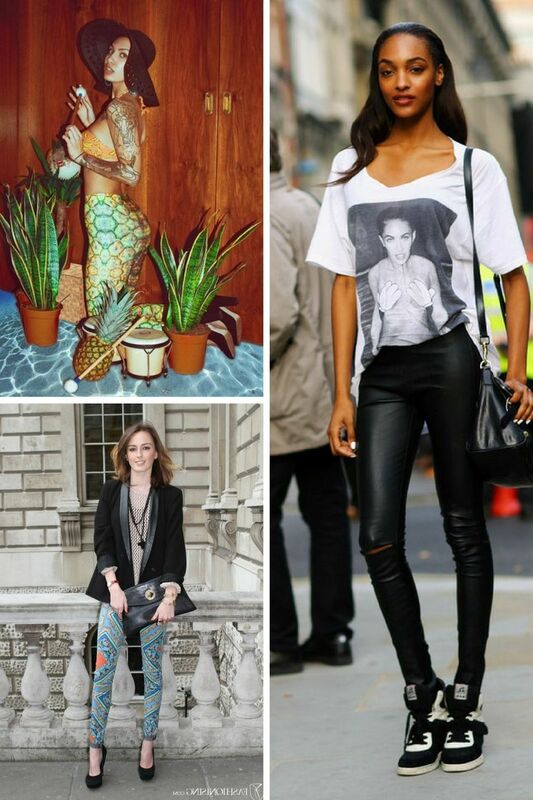 Keep on reading to find out more about leggings street style ideas. Just to make it clear, nowadays there is two type of leggings, the ones that look more like pantyhose and other ones that are more like pants, as they are made of thick fabrics. 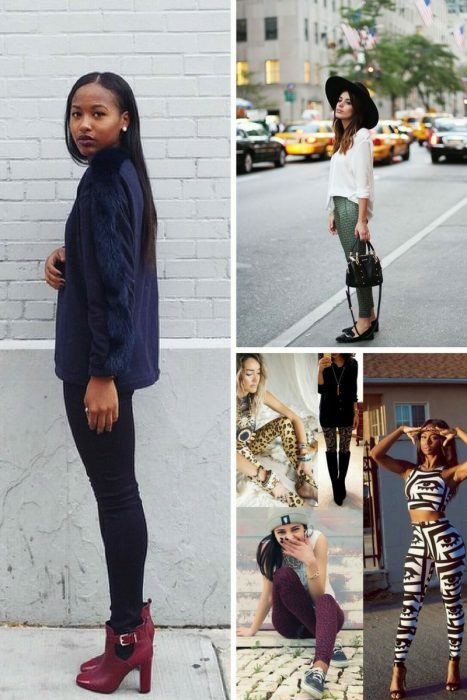 Sure, there are not so many styles that can work in the streets, but there are definitely ones that look good on women. So, why don’t you create your very special #ootd with one of these cool outfit ideas? In our modern life, there are almost no attire boundaries left, that’s why we witness many outfits that never should appear. Leggings have become something more than regular gym style bottoms. Today’s fashion labels offer lots of awesome leggings designs complemented with bright colors, cool prints, and patterns. I remember those times when we used to wear leggings under skirts, dresses or long tops. Now, we tend to show our bum and curves. That’s why we see leggings worn as pants. Imagine such celebrities, like Kim Kardashian, Nicky Minaj, JLO or Iggy Azealia, they all showing their beautiful silhouettes. I don’t see anything bad in exposing your beautiful body. So, if you want to make this trend look awesome on you, then you are more than welcome to see styling tips and outfit ideas you might get inspired by. So, first of all, you should buy a pair of thick and opaque leggings, they can be either black, crazy printed or colored in any other bright hue. Speaking of tops, then you are more than welcome to wear leggings with lots of layers, including longer tops, draped cardigans, etc. Sure, you better avoid wearing them to the office, but you are free to use them for casual meetings, on weekends, holidays, going shopping, etc. I would not recommend you to rock leggings with sky-high stilettos or platform shoes. Leggings look great with mid-heel shoes. 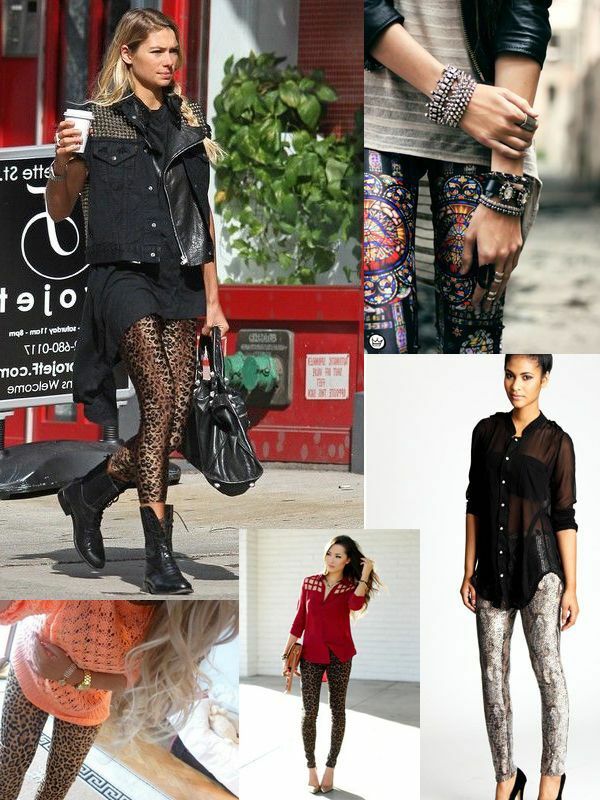 Next thing is leather leggings or so-called leather skinny pants. They are truly amazing and go well with all kinds of tops and jackets. You can wear them with OTK boots, flats or ankle boots. How about achieving a real sporty look? All you need is to pair leggings with sneakers. 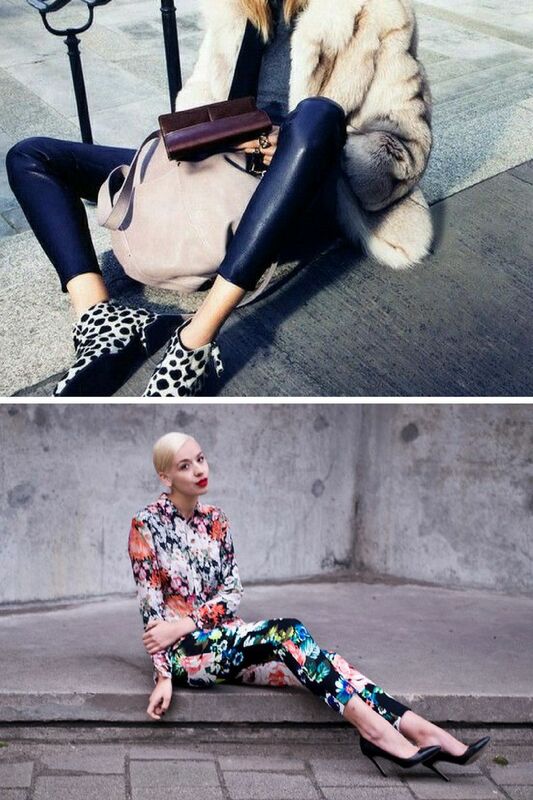 You can go for neutral colored leggings or choose a wild printed style. They work great with wedges, classic sneakers or well-known Converse trainers. 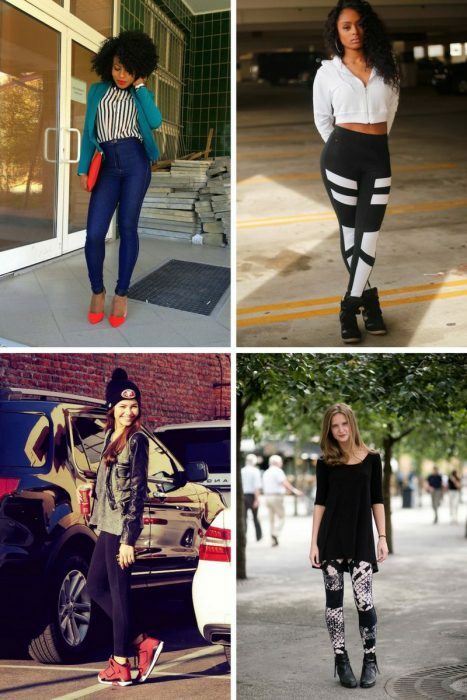 All in all, laidback, sporty and casual style are epitomes for leggings. What about guys who want to wear leggings..? My case is i like dabbling in wearing girly cloths when im out and almost wear exclusivly girl jeans outside of work. I would like to add leggings to my wardrobe but how to i do it with some modesty. I have extra bits to cover and legging cant do that. So as a guy what could i wear in way of tops or layers that would look nice with leggings. Ive already tried active short shorts and like those on top bc they are ruffly enough to cover what everyone doesnt need to see but still shows off my long toned legs.